When we started putting this list together it seemed like it was going to be nothing more than a shallow, trivial — although perhaps welcome — distraction from all the news about disastrous wars and sordid political scandals, but as we dug deeper into the web we found that we felt at times inspired by reading about the practice of famous Buddhists, some of whom have had their trials. We hope that you too will be inspired — and entertained — by Wildmind’s Top Ten List of Celebrity Buddhists. Our criteria were simple. To be a celebrity Buddhist a nominee had to be alive, a celebrity, and — wait for it — a Buddhist (more on that later). And our voting process was simplicity itself; we counted the hits returned for an exact search on each name on Google. Well, that’s not too unscientific. Joining Keanu and Jenny on the not-really-a-Buddhist list were martial arts actor Jackie Chan, and rocker/poet Patti Smith. And although they’re serious practitioners, not quite making the top ten because of lack of hits of Google were avant-garde musician Laurie Anderson (1,110,000 hits), jazzman Wayne Shorter (1,100,000 hits), and REM frontman Michael Stipe (with a mere 813,000 hits). Guys, better luck next time. Anyway, we know you’re dying to know who’s in and who’s not, so without further ado let’s introduce the top ten in reverse order. With impeccably non-frivolous credentials we start with nonviolent pro-democracy activist, leader of the National League for Democracy in Myanmar (Burma), and noted prisoner of conscience, Aung San Suu Kyi. The Buddhist world was, to put it mildly, in a state of deep, deep bemusement when Hollywood star Steven Seagal announced in 1997 that he had been recognized as a Tibetan incarnate lama, or tulku. “Wait,” we said. “That Steven Segal? The action-movie hero who specializes in toting powerful guns and blowing stuff up?” It seemed as bizarre as it would today if the Pope were to appoint Paris Hilton as a bishop, and many of us checked the calendar to make sure it wasn’t the first of April. And yet the other shoe failed, resoundingly, to drop. In fact His Holiness Penor Rinpoche, a respected Lama, indeed publicly confirmed that he had recognized Seagal’s tulku-hood. At last we hit some real frivolity, with the delightful Ms. Bosworth of Blue Crush and Superman Returns fame. Or do we? Are we being harsh in thinking Bosworth only started practicing because then-boyfriend, Orlando Bloom, was into Nichiren Buddhism? Perhaps. And yet we’re happy to welcome Bosworth into the top ten, even though she and Orlando broke up (“He snores and is cheap”) and she may well have moved onto romantic and spiritual pastures new. For many he’ll be the first celeb Buddhist to spring to mind, but Pretty Woman and Chicago heart-throb Richard Gere isn’t even in the top five — and that’s despite a friendship with the Dalai Lama. Gere is a passionate advocate for human rights in Tibet; he is a co-founder of the Tibet House, creator of The Gere Foundation, and he is Chairman of the Board of Directors for the International Campaign for Tibet. Because of his support for the Tibetan cause he’s banned from the People’s Republic of China — and he’s also banned as an Academy Award presenter because of using the podium to denounce the Chinese government. Richard, you’re always welcome here. Gere scores high marks for sincerity of practice, and meditates daily. “It helps me set my motivation for the day,” he says. One of the most revered contributors to modern jazz and former collaborator with Miles Davis, Hancock is a longstanding practitioner of Nichiren Buddhism, which has a heavy emphasis on chanting as a form of meditation. Hancock is a member of the Japanese Buddhist movement, Soka Gakkai International, which also counts Tina Turner and Wayne Shorter among its members. Doyen of despair, godfather of gloom, master of misery, Canadian singer-songwriter Leonard Cohen’s oeuvre could be seen as an ongoing exploration of the Buddhist teaching that life is inherently suffering. But there’s much more to Cohen’s practice than that. Following an interest in Buddhism that started in the early 1970’s, Cohen was ordained in 1996 as a Zen monk at the Mount Baldy Zen Center, on a mountain-top overlooking San Bernadino, California, and was given the Dharma name, “Jikan.” Because his teacher doesn’t know much English Cohen is a bit vague about what the name means. Apparently it’s something to do with silence — “ordinary silence, normal silence” — something like that anyway. Zen practice helped steer Cohen away from a long-term drug problem and, to his great surprise, helped dispel the gloom that had pervaded his life: “When you stop thinking about yourself all the time, a certain sense of repose overtakes you. It happened to me by imperceptible degrees and I could not really believe it; I could not really claim it for some time. I thought there must be something wrong.” Yes, being happy can be so unsettling. Uniquely on our list of Buddhist celebs, His Holiness is a Buddhist first and celebrity second. He may not croon into a mike or emote on a sound-set, but the Dalai Lama can certainly pack (and wow) an auditorium, and stars like Richard Gere and Keanu Reeves are eager to share the stage with the supreme head of Tibetan Buddhism, leader of the Tibetan Government in Exile, and incarnation of the Bodhisattva Avalokiteshvara. Well, we can only say that we’re sure that in his next lifetime His Holiness will at least make the top three. The “Queen of Rock and Roll” has an instantly recognizable voice, a career dating back to 1960, unbelievable legs, and a serious Buddhist practice. As shown in the biopic What’s Love Got to Do With It, it was Turner’s Buddhist practice that gave her the strength to leave her abusive marriage to Ike Turner in the 70’s, which in turn made her an icon for abused women everywhere. Turner is another practitioner of Nichiren Buddhism and famously chanted Nam Moho Rengye Kyo on Larry King Live (see video, below). The dashing star of The Lord of the Rings and Pirates of the Caribbean turned to Buddhist practice because “The philosophies behind it are very current today and are a way of finding some sort of peace,” but also because it helped keep him from the self-destructive path he was always in danger of carving out for himself. We wish Orlando well as he swashbuckles his way to Full and Perfect Enlightenment. [See “Tiger Woods and Buddhism” for an update]. Yes, with close to six million hits on Google he’s bigger than Richard Gere, more popular even than the Dalai Lama. Maybe even God. But then one prophet did foretell, “Tiger will do more than any other man in history to change the course of humanity … He is the Chosen One.” (That was Earl, Tiger’s dad). And another seer spake thus: “He can hold everyone together. He is the Universal Child.” (Yes, that was Koltida, his mom). Despite these accolades, we’re not entirely sure whether to regard Tiger as a Buddhist. He’s said, “I believe in Buddhism … not every aspect, but most of it. So I take bits and pieces,” which could make him sounds like a dilettante, but then even the Dalai Lama has expressed similar sentiments so we’re giving Tiger the benefit of the doubt. So there we have it. Tiger Woods — Guru of Golf, Zen master of the fairway, first prophet of putting, dare we say even “demigod of the green” — is the world’s most famous celebrity Buddhist. More power to your putting, Tiger — and to your practice. Great list, but I think Adam Yauch (MCA) of the Beastie Boys should be here. For an entire generation he is one of the most recognizable and vocal Buddhists. Hardly a review of the Beasties can be written without some reference of his transformation from hard-drinking brat to serene Buddhist. Excellent comment, Roosta. If we’d chosen the top 10 list based on more subjective criteria (such as our favorite celebrity Buddhists or those celebrity Buddhists whose practice we most respected) Yauch would have been right up there. But our reporting was based simply on the number of hits on Google for each person. Even allowing for the fact that Yauch goes also by the name MCA, the most we could scrape up was 205,300 hits, which was well below anyone else in the top ten. But we promise to do a more serious piece on Adam’s practice sometime in the future! Great list Bodhipaksa! And for the record, God gets 342,000,000 hits (to Buddha’s 23,600,000 and Jesus’ 143million), all blowing Tiger out of the water. Good fun for all. Great to head from your Justin, and I’m glad you like the post. For anyone who doesn’t know Justin, his blog was nominated for a Blogisattva award this year and is well worth checking out. AHh!! I just noticed that criteria…think I jumped head first into the Top 10 too quickly! Apologies!! Monkey See, Monkey Do » tiger woods meditates? thanks for the wonderful list, together with the video. It’s been great to read through it! The stories of the Beckham’s conversion to Buddhism didn’t appear until more than a year after we put this list together, although there’s a Buddhist connection that goes back several years. If this isn’t just a flash in the pan or media hype then the Beckhams should top the list next time we run this story; at the moment David has 20 million hits on Google, which makes him bigger than Tiger. We’ll probably run the “competition” again next summer. Note to self: Since k.d. lang has 4 million hits on Google and is now confirmed to be a Buddhist remember to add her to the list next year. I am always interested in learning about the different philosophies of Buddhism and who practices what philosophy. So of course people are always fascianated with celebrities and this was an interesting list of people. 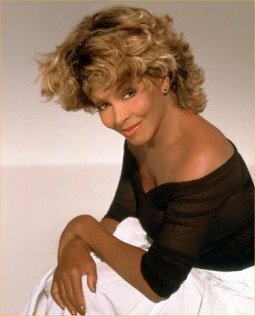 I am a Buddhist myself and practice Nichiren Buddhism the same practice as Tina Turner, Orlando Bloom, Herbie Hancock and Patrick Duffy. What a “Wonderful” group of people to share the same philosophy with in life! I only wish that I could chant with them personally! Thanks again for the list! I’m not so sure about not including Keanu Reeves. He is in the documentary with Richard Gere entitled, “Discovering Buddhism.” At this point he is a relatively well-known practitioner of Buddhism. As for your quote of Reeves saying, “I am not a Buddhist,” your source is from 1994 right after he finished filming Little Buddha. Since then it is clear he has dedicated himself to Buddhism. Well it’s about time we did an updated version of the list, so I’ll take a closer look at Keanu. Thanks for the tip, and if you have any links to articles where he discusses his Buddhist practice I’d appreciate you passing him on. Wow, interesting list. I knew of Richard Gere and Tina Turner. . . but Tiger Woods and Orlando Bloom – how cool! I’d also like to know who practices Mahayana Buddhism and who practices Hinayana Buddhism. Good question! I confess she wasn’t considered, but as it happens there are only 793,000 hits for her on Google so she wouldn’t have made the top ten anyway. buddhist, but some how this is good. I am now officially a BUDDHIST, add me! Steady on, Tiger. You’re already on the list at #1. Isn’t it rather “obvious” putting the Dalai Lama! Of course he is a Buddhist and a great man. Readers may not be aware that like christianity there are many different types of buddhism. Of course most philosophies and religions work towards peace, but after some extensive reading Nichirin Buddhism seems to the best to cope with the real world. Listen to Tina Turner’s interview. There are of course many kinds of Buddhism. Nichiren Buddhism certainly isn’t for everyone, but I’m glad it’s working out for you. Which type of Buddhism does Tiger Woods practice? Is it Nichirin Daishonin? I have practiced it in the past. Just started again recently. Isn’t his mother Thai? I guess he’d be familiar with Thai Theravadin Buddhism. J en connais un qui a marqué son temps.il s’agit du grand joueur italien le divin codino(ROBERTO BAGGIO) qui reste pour moi l’un des meilleurs joueurs de tous les temps.Baggio est un bouddhiste convaincu mais j’ai remarqué que vous ne l’avez pas cité. Veuillez excuser mon franÃƒÂ§ais. Je n’ai pas parlé depuis longtemps. Roberto Baggio est un bouddhiste, et il est bien connu, mais notre liste a compté le nombre de pages que Google a indexé pour chaque personne. Aung San Suu Kyi, numéro dix sur notre liste, a eu 1,170,000 pages, mais Sr. Baggio a eu seulement 858,000 pages. Il est bien connu, certainement, mais pas assez bien connu pour ÃƒÂªtre inclus. Fantastic list even inspired me to write a whole series and make a video – mine’s a little to Hollywood inspired though.Hope you enjoy ! Where is Phil Jackson on this list? Phil Jackson currently has 1,140,000 results on Google, while #10 on our list, Aung San Suu Kyi, has 3,200,000 results. Sadly, Phil doesn’t make the cut. Tiger Woods is certainly surprising and disappointing to see on the list. He’s certainly a poor and sad example of a practicing buddhist or of any religion for that matter with his recent behavior and treatment of his wife and family. The list is just a measure of how well known people are, as measured by the number of references to them on Google. It doesn’t judge whether people act well or badly. One wonders how much the almighty dollar had to do with all the praise these celebrities receive from high ranking Buddhists. I mean talk about “Saint Tiger”…call me a cynic but I think many Buddhist leaders are all too keen to turn a blind eye in exchange for a buck or two. What an interesting idea, Clint. Who are these “high ranking Buddhists” you’re talking about? I think you should name them so that they have a chance to comment. And do you have any actual evidence that Tiger Woods is bribing people to say nice things about him, or did you just make it up? Because, you know, if you just made it up it would seem to me to say more about your ethics than about those of the unnamed people you’re accusing. Oh no it’s not an accusation in as much as it is a guess. Now I am very much aware that I may be incorrect in guessing that, however human nature as it is…Well, lets just say that sometimes not even a monk can resist the temptations of Samsara, again a guess or do you think the ordained become untouchable? I don’t think my guesses are so outrageous, frankly. Of course I don’t have evidence, I don’t want evidence because the matter isn’t that serious or important to me, why it’s so important to you I don’t know. It’s certainly an excellent marketing ploy for your website to put a host of practicing Buddhist celebrities on. I see you list a lot of Nichiren celebrity Buddhists but I when I asked a question on Nichiren Buddhism a while ago and mentioned that chanting puts my mind at ease your response to Nichiren Buddhism was not too positive or encouraging to say the least…but hey playing the Hollywood card always ensures good business…I think it’s a bit naive and dreamy eyed of you not to even remotely consider that there have been and is corruption in various Buddhist institutions just as there are in all religions. I’m not saying Tiger Woods bribed anyone but like “sf” said he is certainly not the poster child for a good Buddhist! So, what got him at no. 1? And if your list is simply a measure by number of references to Tiger Woods on Google, well then put those numbers up so all can have a gander if you’re so serious about defending the matter, lol! Come on! Reality check! Well, it’s a rather unsavory assumption, and a rather unlikely one at that. I’m sure I would have heard if famous Buddhists were handing out money in return for people saying nice things about them. And of course you don’t have any evidence. You’re merely engaging in unfounded allegations of financial impropriety. Why on earth would anyone need evidence for such a thing, especially if the matter isn’t important to you? (And yet important enough for you to write about). You ask me to “put those numbers up.” As they say: RTFA (read the flaming article). The numbers are there. Certainly, Tiger Woods is not the “poster child” for Buddhism. But … check the date of the article: June 5, 2007. When did Tiger’s reputation crash? About three years after that. Yeah, alright, whatever, I’m bored with this subject now, Hollywood celebs on a Buddhist website. If you think it adds to your practice as a Buddhist, then good for you, keep going :-)) Namaste & Good night! Writing this article did actually add to my practice, thanks. I was particularly moved by Tina Turner’s story of using Buddhist practice to develop to strength to leave an abusive relationship. But likewise, if visiting blog posts on celebrity Buddhists so that you can make unsubstantiated allegations of corruption and demonstrate that you didn’t actually read the article before commenting helps you in any way at all, then keep on at it. You are an aggressive one Bodhipaksa! Calm down, not necessary to get so worked up over this, IT’S NOT THAT BIG A DEAL! Whats the point of aggression? There IS no point to aggression. One of us is typing in capital letters, the other isn’t. Just saying. Yes, I was certainly annoyed by your comments. :-D for a while there I actually forgot you were a Monk. Go in peace and control that temper. No, I’m not a monk, but in any event it would be unrealistic to expect even a monk to be free from anger. His Holiness the Dalai Lama has often said that anger is a problem for him. Incidentally — and I ask this out of genuine curiosity and not as an attack — do you recognize the aggression in your own comments here? From making allegations of corruption to saying you’re “bored” with a discussion, much of what you’ve written appears to me to be aggressive in nature. That doesn’t excuse my own anger of course — my anger is my own problem — but I haven’t picked up from anything you’ve said yet that you’re aware of this. It’s sad for me to see that there are “Clint’s” in all religions. I come from an evangelical Christian family (my father is a pastor) and I have seen the ugly side of religion and I have ran into many “Clint’s” in my life. This conversation has helped me see that religion doesn’t matter. We must all take responsiblity for our actions. Opinions matter but Clint what was your motive behind this opinion and the need to share with everyone? That’s the real question. What has perked up my interest in Buddhism is the concept of Compassion and Selflessness. Although, I am not a Buddhist (yet) I am studying and trying to get as much info as I can, and Bodhipaksa I have found this website VERY helpful. Thank You. Hopefully this doesn’t ruffle up too many feathers. As I understand Nichiren’s teachings (which I’ve never studied, so this is all second-hand), he claimed that all Buddhist schools but his were heretical and did not lead to enlightenment, and that the only authentic way to gain enlightenment was through the Lotus Sutra. So it seems that he didn’t just regard it as the highest Buddhist teaching (it isn’t one of the Buddha’s teachings, of course, coming centuries after the parinirvana) but as the only effective Buddhist teaching. I find all this very offputting. That’s not to say that there might not be many fine, open-minded, and tolerant followers of Nichiren’s teachings, but I disagree with Nichiren’s perspective. That’s hardly a scathing condemnation, and in fact I don’t even refer to Nichiren Buddhism as such, but just to Nichiren himself. What was the basis, in the comment I quote above, that lead to you becoming “annoyed” (but not angry, of course)? Is any part of what I wrote untrue? Harsh? Unfair to a historical figure? As to it being “hypocritical” to have Nichiren Buddhists in our list of top ten celebrity Buddhists, your assertion makes no sense at all. Our list, as is quite clearly stated, is based on the number of results Google returns for various Buddhists. Are you suggesting that it’s hypocritical to have doubts about Nichiren’s teaching while also acknowledging the reality that some Nichiren Buddhists are well-known people? I find that a most confused point of view, if that’s the case. I suppose I could have gone through and removed any Nichiren Buddhists had I been so minded, but of course I didn’t. Isn’t that a sign of fair-mindedness? I’m not aware of having made any disparaging remarks about the NKT on this site. Would you care to furnish some examples, from the “quite a few” you have noted? I “fail to mention the many controversies that his own particular school of Buddhism have been accused of.” Really? Not here, or here, here? “Buddhism is now being made cheap by comparing it to Hollywood celebrities.” Really? Who is “comparing Buddhism to Hollywood celebrities”? What does that mean, anyway, to “compare” Buddhism to Hollywood celebrities? We were simply reporting in who Google regarded as the most well-known Buddhists. Do you think we should have systematically ignored anyone who’s been in a movie? Buddhists in the west include business-people, athletes, musicians, monks, and — yes — movie stars. That’s just how things are. You come on here making aggressive and unfounded accusations about corruption in the Buddhist world (possibly including this site, and myself). You say I’m “naive.” You yell in all caps. When it’s pointed out that you’re talking nonsense (you demanded to see numbers that were already in the article) you suddenly are “bored.” You fail to acknowledge the factual errors you’ve made. And you accuse me of being aggressive, while denying you’ve experienced anything stronger than “annoyance.” That strikes me as being peculiar in many ways. I live in hope that your next comment will be balanced, reasonable, and supported by evidence. It would make a nice change. Let me apologize for any offense and discomfort I may have caused to any member of this forum! My apologies to you Bodhipaksa for any offense caused. So apologies all round from me to you. Your apology is entirely accepted, Clint. Thanks for saying what you said. I really take that to heart. Those quotes really helped me. Remember I’m new so could you tell me who said those quotes? I only hope I can hand out forgiveness as freely as I have seen here and I hope that I can ask for it as freely as I have seen here too. It’s good to see that. This conversation has helped me. I am a christian, but i can almost completely agree the philosophy of budhha based on my experience. I even thought of switching a religion on my inner self. There is no doubt in my mind what he had done to the world of computers is inspired by Buddhism. Unfortunately, today, the news was that Mr. Steve Jobs passed away at a young age of 56. RIP. Absolutely. I didn’t know Steve was a Buddhist when I wrote this article, but when I do my long-awaited update I’ll be sure to factor him in. Judging by the standard we set (number of hits on Google) he’d be top of the list. We just posted a tribute, by the way. Why don’t has Thai language? There are a lot of languages I don’t speak. Every sentient being is a nascent Buddha. As Buddhism is specifically not a religion, it would be quite difficult to highlight who ‘practices’ said and who does not. Anyone who has set themselves on the path of awakening, by applying the concept of Neti Neti to everything to which they have merely been conditioned, would likely qualify as ‘Buddhist’. Those anchored to the idea of Buddhism as a ‘religion’ (in the current common conception of that word) will likely not awaken…this time around. Thanks for the very interesting list. It is great to see the dhamma do well represented in Hollywood. I’d like to chime in on the criticism of Tiger’s practice. I think it is not helpful to call Tiger a “bad” Buddhist. He certainly strayed from the dhamma with his various infidelities, but in Buddhism we can always start over and start following the dhamma with a fresh focus. It seems to me that he was aware that he strayed from the path. He acknowledged this publicly. His actions have resulted in some bad press for Buddhism, but he expressed an aspect of Right View, and it is clear that he intends to have Right Action. We should support his renewed focus on the dhamma. One of the greatest aspects of the dhamma is our opportunity to start living with mindfulness each and every present moment. Hey, wait a minute. This story looks familiar. Great minds think alike! This is the first time I’ve heard of your article, Tom. One of us should update this vital arena of information, Bodhipaksa. Since Zen Unbound is defunct, I think either the National Enquirer [Buddhist Edition] or Wildmind [if it hasn’t gotten to be too classy, what with Justin Whitaker as one of its writers] or elephant journal would joust for the chance at such as esteemed and reader-luring piece. I nominate you for this task. You’re a much better writer and better looking than me. My only skill is that I’m a wiz at comma placements. Yeah, I’ve been “planning” to write a new version of the article for almost two years now (“planning” here being a technical term that means “not actually doing anything”). It has to happen. And I’ll call on your comma-placement superpowers, if you don’t mind. No problem. Just set the papers where you’ll eventually write the updated/new article to one side and, using my magical powers, I put the commas in this evening in advance of you inserting the words. Thanks. That’s going to save me a ton of time. I am attending my first Buddhist temple service tomorrow and am very much looking forward to it. I was born and raised a Methodist, believing in the Trinity. Majoring in European history and philosophy in college changed that and I have become more of a Deist, firmly believing ‘God’ gave us reason and not religion. I am grateful we have the freedom to experience and learn new things. Very excited to learn more about Buddhist philosophies and practices! Hey all, I am christian but thinking about converting to buddhism. I am 13 years old and am not sure how to tell my parents, any tips? It is great to read that you are thinking over the essential questions of life. Remember, the quest may never end. I would not worry so much about making some big, dramatic announcement to your parents. You were raised with a tradition, and there is value in that. Buddhism is so welcoming and encompassing that you can be a Buddhist without a proclamation, or without precepts. I also tend to think in terms of extremes, but my teacher Bhante Pemeratana always stresses to me that we should not worry so much about being perfect, and we should not feel stressed about our practice. Particularly in meditation, Bhante Pema tells me to approach things gently. I suggest you be willing to discuss your interest in Buddhism with your parents. Begin the conversation with thanking them for your spiritual upbringing. Use the conversation as a way to strengthen your relationship. They will love you no matter what. Without knowing your family it’s hard to know what’s best. I mean, some families would quite literally throw a kid out of the house for embracing another religion! Other’s might just be upset, but be able to adjust. Have you let them know of your interest in Buddhism? And if so, how have they responded? You might want to question whether it’s actually important to attach the label “Buddhist” to yourself. The Buddha and his early followers didn’t call themselves “Buddhists.” There isn’t even a word for “Buddhist” in the scriptures! People just said they were “followers of the Buddha’s Dharma (teaching)” And that’s the important thing — putting the teachings into practice by being as mindful and as compassionate as possible. I wrote an article a while back about what makes someone a Buddhist, and you might want to check that out. Similarly, I wrote an article about what “faith” is in a Buddhist context (don’t get distracted by the stuff on rebirth, which is just an example). Very informative and entertaining. There is often the misconception that because someone is a celebrity, the moment they claim affiliation to any religion/philosophy; that they must become the ‘poster child’ or example of such a group. We seem to forget that these people are celebrities due to their acting abilities/musical talent etc. Like all of us, these celebrities use the teachings to become fully what they are, and just like us they did not turn into a Buddha the moment they started following the teachings of the Buddha. I take my hat of to the celebrities who have many, many years more practice than me and they did this in an environment which I am certain does not make it very easy for them to practice. May we all benefit from our won and also their practice. Great list, but I think Dr. Ambedkar is a great Buddhist leader in India should be here. For an entire generation untouchable he is father of them and he is one of the most recognizable and leader of Buddhists. He make freedom to all untouchable people from Brahmin tortured. and he is the Author of Constitution in India. he is a great Buddhist. When I read your message, Dhammarakkhita, my first thought was that Babasaheb, although he was an important Buddhist, wouldn’t have enough hits on Google to qualify. And I think that’s actually the case. But when I do an update of this column, and that may be today, I’ll certainly include him and see if he makes the top ten. Saying “I’m not a Buddhist” does not mean you’re not. It may be like saying “I’m not someone.” Both, or neither, may spring from what’s true. it is good to see that many of the celebrities becoming buddhist ,in my opinin buddhism is the best religion in the world,if u can follow it……………………only in buddhist has the method of self controlling …………..so it is good to be………….. I am so happy to read this news that many celeb’s follow Buddhism. As i am being a Buddhist..i am completely happy to see the list of who is practicing Buddhist …………………..
Hi, Bodhipaksa. How are you? I’m well, thanks. I’ve been a Buddhist for over 30 years now. it has been an amazing experience for me by reading this article. Actually, i am a Buddhist from Indonesia. It’s the same here, Pika, at least as far as officially converting in the context of a sangha. Some people of course will simply decide for themselves that they are Buddhists without reciting the three refuges. I am Buddhism from Burma I really wanna know Buddhists from other countries really understand infinity life cycle. And do you believe in that. Many Buddhists in the west accept the teaching of samsara as the beginningless round of rebirth. Some are agnostic about it, neither accepting nor rejecting that teaching because they can’t confirm or deny it in their personal experience (which is, I think, a very ethical position to take, since the Buddha encouraged us not to state as the truth something that we can’t verify in our own experience). A small minority see rebirth as incompatible with a scientific viewpoint and reject it. But I think this is a very small number. The same Tiger Woods being labelled as a serial cheater? Is that what a “Chosen One” does? This article was published a long time before Woods’s serial infidelity came to light. And as I’m sure you spotted, the tone of the writing is rather tongue-in-cheek. Hi Bodhipaksa, I think I would have never cared to read a listing like this if it were on any other site. But since I have a huge respect for you, I did go through it to see if there was something more indented by putting up this article on your site. Wouldn’t giving undue importance to what is popular amongst people (number of hits) lead us to wrong way of viewing the world, condition our thinking in a wrong ways? Aim for glamour/popularity/fame – is it not against what Buddha told to strive. Doesn’t giving undue importance to these things encourage people to be in the list? You are very much aware what is popular amongst general people. You know what most popular videos in general are like. Does popularity in any way equate to reality, what is beneficial, important, etc? Should we bother about what is popular coz what is glamorous/attractive is what is popular? I would advise you not to update such listings further and may be take this down too if you realise that this does put the reputation of the site go down (but I wont say much coz of the fear that you might feel bad and discouraged). Yes Bodhipaksa, if one’s focus is on fame/popularity/glamour/beauty, one can get inspired by these people. But, delusion does have its drawbacks. What happens to your inspiration when tomorrow, such people give a bad example of practice like your 1st ranker or disparage meditation due to lack of understanding like your 2nd ranker or someone new comes up with more “unbelievable legs” than your 3rd ranker criticises dharma? If one ‘makes’ or ‘breaks’ his confidence in dharma based on such insignificant things, it is as unstable and these things. The real confidence develops in dharma by seeing the truth and results of practice on our own. Probably, you have not yet seen enough results yet so that you don’t have to rely on these things. I wish you all the best with your practice of dhrama. Its good to get your inspiration from the Buddha and the Sangha. It’s surprising how ready people who have never met me are to tell me about the deficiencies in my practice and in my attainment. I find inspiration in the life of every person who practices Dharma, however falteringly they may do so. To suggest that this somehow replaces my faith in the Buddha and Dharma is frankly ridiculous, so the question of my inspiration being affected by the revelation that any given practitioner is a flawed human being simply doesn’t arise. If I hear that some Dharma practitioner, whether famous or not, has behaved badly, I feel compassion for their suffering and for the suffering of those they have hurt. My confidence in the Buddha and Dharma isn’t affected in the slightest. Why should it be? May I respectfully suggest that there may be better uses of your time that being concerned about whether I might be Going for Refuge to Tiger Woods rather than to the Buddha, Dharma, and Sangha? Bodhipaksa, in my view, when this page was created (in the way it was created), the mind-state involved was imbued with much of delusion, which is neither good for the creator nor for the readers who get influenced. Therefore, when I commented, I only had the intension to direct the mind of viewers to the “Right View”. I believe “the friend who gives good counsel” is an attribute of a good friend. To believe that you have direct knowledge of the mind states of others is a delusion and a projection. Hi Bodhipaksa, I just realised that I have caused enough hurt to you (which defeats my purpose anyway). Therefore, I sincerely apologise. I wouldn’t say I’m hurt. Irritated and a little frustrated, yes. I presume you have better things to do with your time. I know I have. Nam myoho renge kyo. An enemy of Buddhism is an ignorant priest or lay person. I confess I don’t really understand what you mean, Julie. But Nam myoho renge kyo back at ya! I know what Nam Myoho Renge Kyo means, Dan. It’s the intent of the other comment — “An enemy of Buddhism is an ignorant priest or lay person” — that I’m unclear about. Wildmind Buddhist Meditation – Meet the New Year mindfully! I am a Indian govt. Servant ,I like the busdhhist principal of thinking of current life rather than past bhutama etc..and equality principal . As time goes on I feel Christianity may not be the best Philosophy. Buddhism at least deals with reality. It is just a corporation lead by an egomaniac that wanted to be in charge of the world and has lured many vulnerable people into trap.They target youth and college students.They believe that they get benifit from recruiting others.They chant to a piece of paper to get stuff.It is total mind control under facade of world peace.It is a multibillion dollar corporation scam.